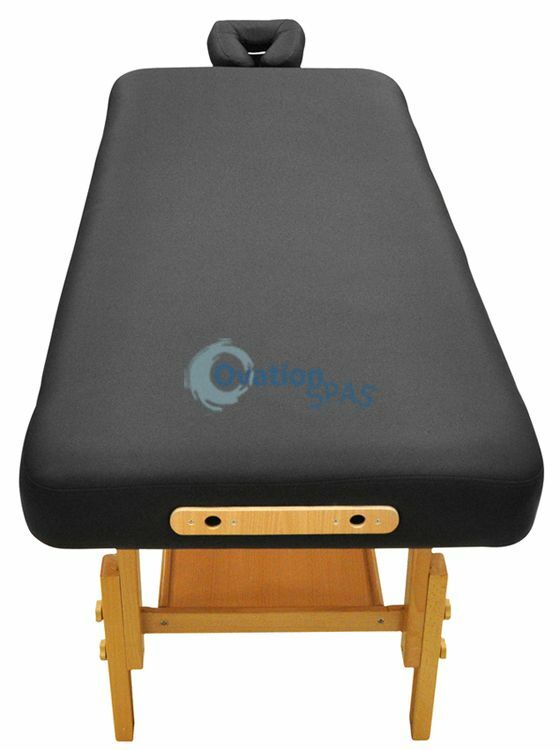 Free Shipping - The Nora Stationary Massage Table is built strong and can support up to 600 lbs. The Nora is finished with rick black vinly upholstery and thick foam padding for client comfort. - Comes with 2.5” thick, multi-layered foam. - Headrest can be used at both ends of the table.